More than three decades on, “it” still is, and it still needs support from you, the loyal and above all independent-minded readership that shares that vision. In an essay about our history, the founding editor, Andreas Whittam Smith, once commented: “To say that somebody is independent-minded indicates no particular profile. It simply defines an attitude. You immediately recognise the independent-minded when you meet them.” You can be who you want to be, stand for whatever you want to stand for, do whatever you want to do, make up your own mind, and still feel The Independent is the title you want to read. The Independent stands for many things, often uniquely so. It stands independent of political party allegiance, and makes its own mind up on the issues of the day. The Independent made up its mind, before most, that climate change was an existential threat to life on earth – based on a growing body of scientific evidence. That stance has been, depressingly, vindicated in the years that followed. The Independent campaigned against the American- and British-led invasion of Iraq in 2003. That too was far-sighted, and it is with no pleasure that events have borne out our scepticism about that war. As world opinion moves slowly towards a more liberal, enlightened and medically driven attitude towards a “war on drugs” that is unwinnable, The Independent can reflect that it led the debate on this issue too. 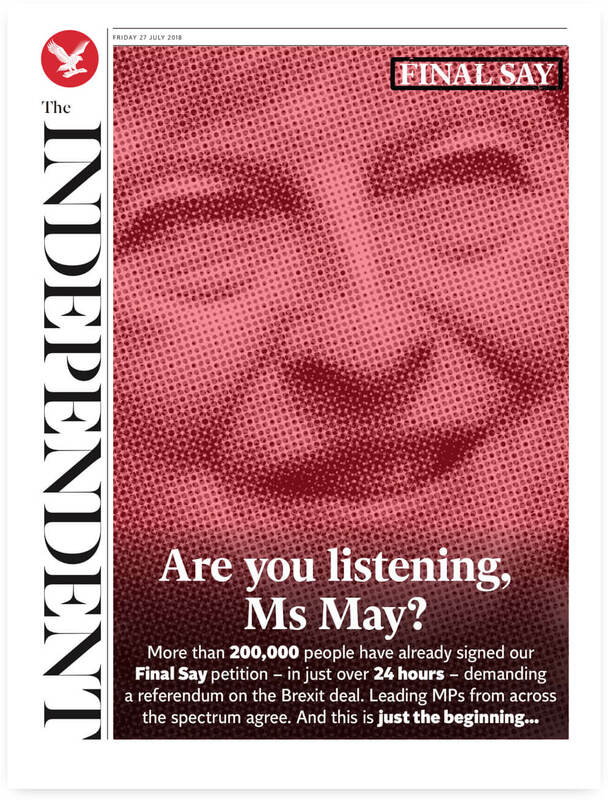 On the UK’s great issue of today, Brexit, The Independent is campaigning with unprecedented force for a “Final Say” for the British people. The Independent has always taken a progressive stance on European cooperation, on strengthening democracy and on protecting human rights. We felt compelled, for example, to use the shocking image of a drowned three-year-old Syrian refugee, Alan Kurdi, to confront the human cost of the migrant crisis in 2015. The Independent has always been in favour of a reformed monarchy, one that reflects the nation over which it reigns and which is accountable to the people for its activities. Royal trivia is something The Independent has tried to avoid, but when the first woman of colour became a member of the royal family, as Meghan Markle married Prince Harry, we were keen to reflect this shift in cultural and social mores. We offered, we hope, entertaining and thoughtful coverage of the event to a global audience. Over more than three decades, our values have been – and remain – abiding. It was always the case that The Independent’s campaigning was led by its reporting, and our pleas to governments across the world to treat refugees with humanity and respect was led by what our journalists discovered in filthy and dangerous camps. When, in 2007, Tony Blair described The Independent as a “feral beast”, and “avowedly a viewspaper not a newspaper”, he misunderstood, as well he might, our stand on the Iraq war. He mistook our campaigning and our values for systematic bias on that issue. In doing so he inadvertently paid us a great compliment. We like think that our comment section, Voices, is indeed a viewspaper, where many different, interesting opinions are welcome. In fact, The Independent always shared some of Mr Blair’s political blend of social and economic liberalism, but, true to our approach, we could never unconditionally endorse him or his party. Some rivals might have chosen simply to ignore a prime ministerial attack; The Independent was happy to publish it. It was only one example of a guiding principle – to promote the greatest diversity of voices and viewpoints. Stimulating and entertaining readers is the remit, challenging rather than merely confirming their prejudices. Incidentally, we are especially pleased that we gave Helen Fielding’s creation Bridget Jones to the world, and we like to think that today Mark Steel, Shappi Khorsandi and Tom Peck are among those who continue the mission to amuse our readers. 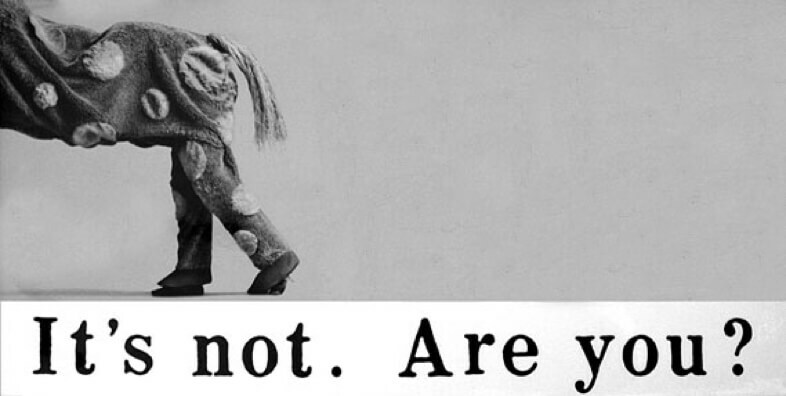 We make no apology for reporting on the quirky or the strange; we always have done so. There is no great merit in boring readers and, especially in the digital environment, the serious can co-exist harmoniously with light-hearted journalism. In recent times we have added more public events and reader-oriented debates to our mix, as well as video, as we make the most of the new media that have given us such an international audience. In ways that only digital technology can deliver, The Independent is more receptive to its readers than ever before, as you react to, and comment on, stories online. We can now see, in real time, the stories that are setting the agenda, attracting attention, which helps frame – but not dictate – editorial judgements. One of our many ambitions is to engage our readership ever more closely, and to encourage more people in more parts of the world to discover our journalism. In truth, The Independent has always had a global perspective. Built on a firm foundation of superb international reporting and analysis, The Independent now enjoys a reach that was inconceivable when it was launched as an upstart player in the British newspaper industry. We have as many readers in the US as the UK. We are helping to set up new foreign language sites in Arabic, Persian, Turkish and Urdu to bring our values to new audiences. 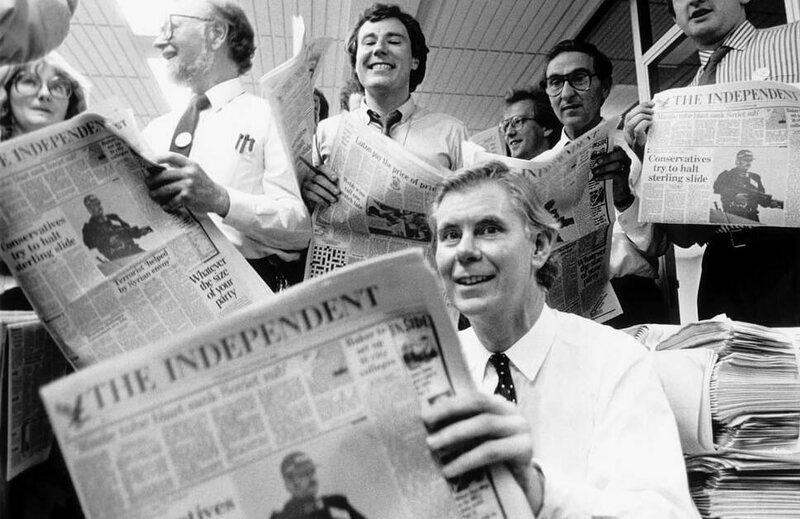 The Independent always punched above its weight; but even when it had a readership approaching a million in the 1990s, these were overwhelmingly within the UK, and The Independent was still smaller than many rivals. Not any more. 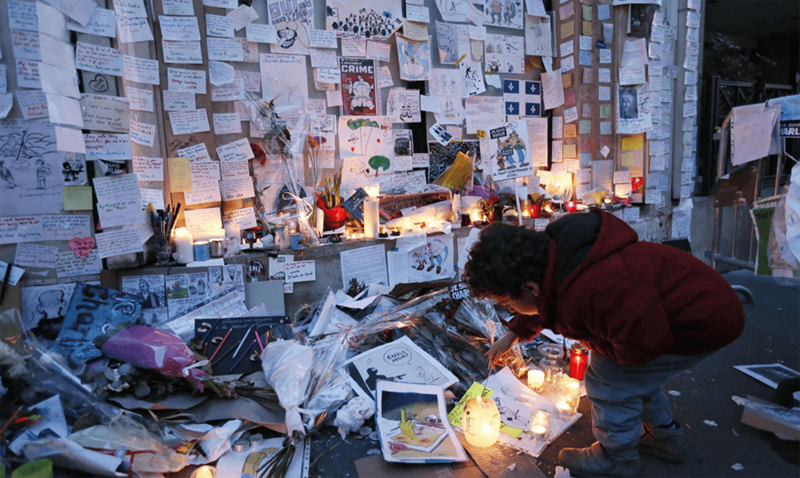 The Independent’s reputation went before it, even in countries where a print copy was rarely glimpsed. Today, the boundaries of The Independent’s influence are growing wider and wider. Now it is the match of any of its rivals for readership and – always so important – trust. A recent international survey conducted by Oxford University placed The Independent firmly in the peloton of British quality journalism, alongside names such as the BBC. We don’t do fake news; we never hacked phones. But to maintain and bolster that voice of progressive, liberal values and trusted journalism, there is no escaping the need for financial stability. As one of our founders put it, rather starkly: no profits, no independence. We break stories that matter, and alert the world to new challenges. In politics our team, led by Joe Watts, is committed to the same objective reporting that storied names such as Andrew Marr (later an editor), Andrew Grice, John Rentoul (both of whom remain insightful commentators) and John Pienaar contributed in earlier times. Robert Fisk’s interviews with an obscure mujahideen leader named Osama bin Laden were a very early warning of what was to come. Patrick Cockburn warned of the rise of so-called Islamic State long before any other journalist, or even anyone in the defence and intelligence communities, had noticed the threat they posed. 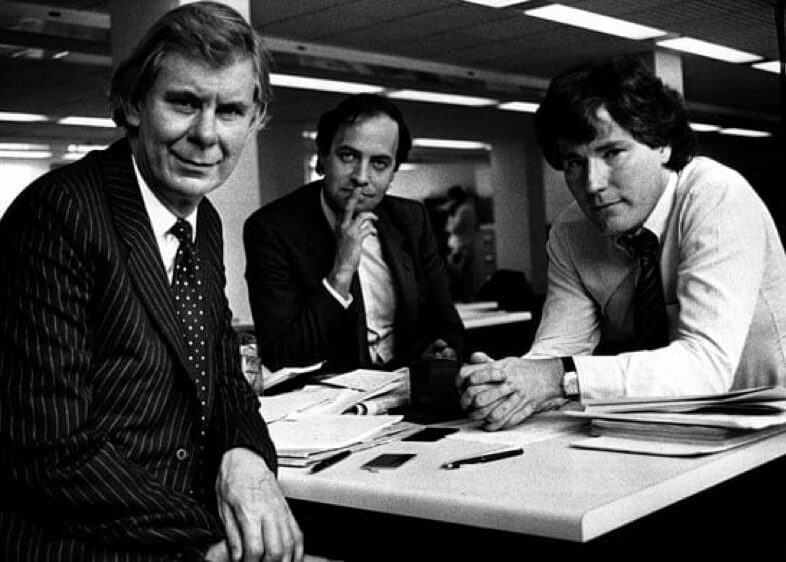 Robert, Patrick and Kim Sengupta are longstanding correspondents whose skill and bravery in reporting for The Independent down the years speak volumes. Today they are joined by talented newcomers, such as Bel Trew (formerly of The Times) and Borzou Daragahi (formerly of the Financial Times and Los Angeles Times), expanding our teams of journalists in bureaux around the world. The Independent’s coverage of America and the Middle East has always been a particular focus, and remains so today, with Andrew Buncombe telling the stories inside and outside Washington’s Beltway. In a time of Trump’s America, it is easy to make a case that this part of our mission has never been so important. With our US audience growing fast—attracted, we like to think, by the values that have distinguished The Independent in the UK for so many years—we have ambitious plans for our operations beyond Britain. As a new breed of populist authoritarian leaders takes power from Washington and Rome to Ankara and Moscow, and on to Delhi, Beijing and Manila, The Independent’s fearless scrutiny is needed as never before. 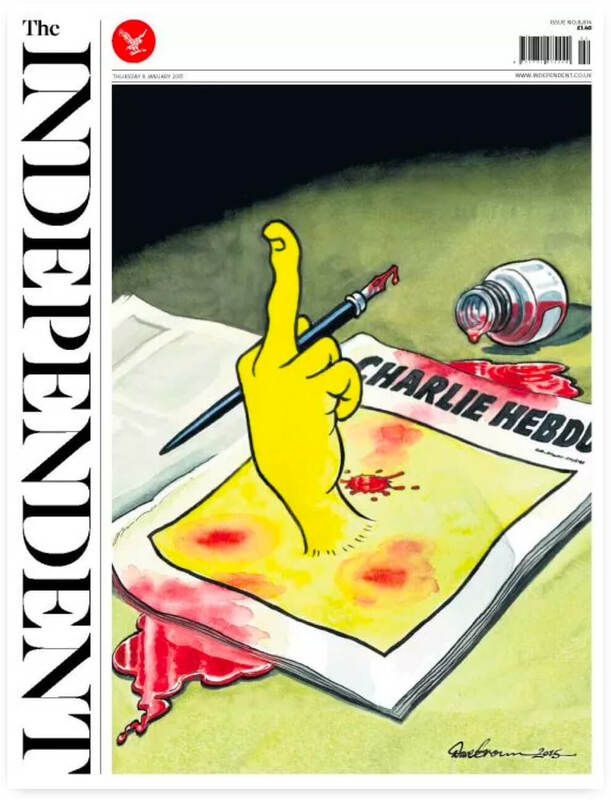 The Independent also stands for independence from proprietorial interference. We have a pattern of shareholdings today, as at our inception, in which no sole entity commands a majority holding. That structure helps us expose political or commercial skulduggery and question the Establishment. We have been fortunate in our owners over the years. Adjusted for inflation, something approaching half a billion pounds has been expended in sustaining The Independent; proof, were it needed, that quality independent journalism needs the financial support of owners and readers alike. Independent quality journalism can only survive with committed financial backing. It is nearly three years since The Independent became a fully digital publisher, printing its final copies and moving away from the most challenged of mediums for modern publishers in pursuit of sustainability, to keep the values and dream alive. 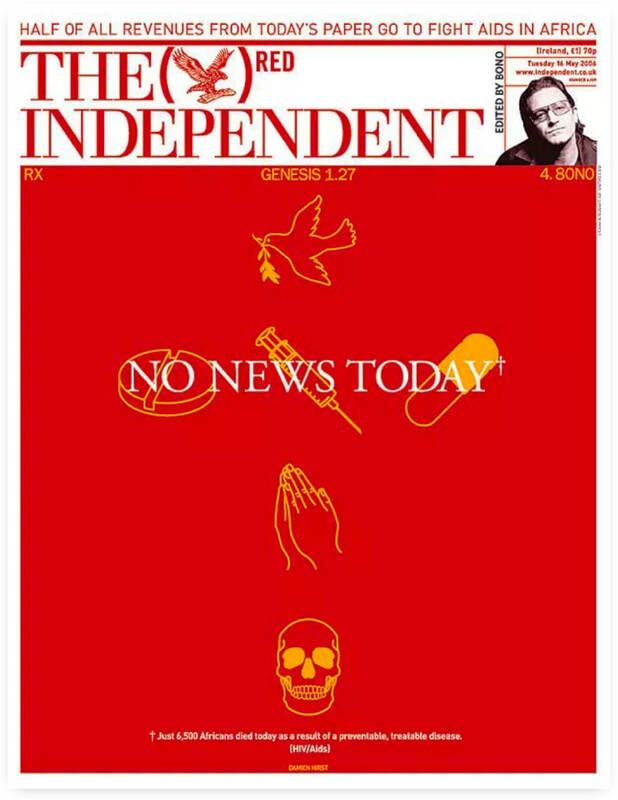 As was said at the time, with a little irony, The Independent has always been “condemned to innovate”, and has always done so. It has many “firsts” to its credit, including its own creation. It was the first British newspaper to add a Saturday magazine; the first broadsheet to go tabloid; the first to give stunning photography the same prestige as a news or feature story; the first to challenge the Westminster lobby system of closed briefings (“a self-satisfied cabal”); the first to launch a concise quality compact paper, i, in 2010; the first to launch an edition for children; and the first to go fully digital, in 2016. We felt then that our resources would best be concentred on this growing medium, and progress since has justified that. Through The Independent Daily Edition app, The Independent and indy100 websites, via social media and via the new membership service, Independent Minds, we hope to continue the work of many decades, and to make our voice ever louder and more insistent the world over; across generations, genders and cultures. Every minute of every day we are forging new bonds with new audiences. For the first time since the end of the Second World War, and across the world, pluralism, reason, a progressive and humanitarian agenda, and internationalism – Independent values – are in retreat. Yet we, The Independent, continue to grow. Some of the battles may have been lost, but the causes can and will be won. With your help, we shall remain The Independent.